The fundamentals of the UK housing market mean that the pressure on the new-build sector to meet the rising demand for homes has never been greater. This is the view of property specialist Knight Frank in its Housebuilding Report 2017, published in June. This is just one reason why housebuilding has risen so rapidly up the political agenda in recent years. The key argument is clear, adds Knight Frank. The population is rising at a pace to create around 200,000-250,000 new households in England every year. Net new housing supply in England averaged 160,000 over the last 15 years. It hit a low of around 130,000 in 2012/13. This shows why more homes are needed. However, two-thirds of suppliers do not think delivery can be kep above 200,000 in the current policy environment. Liberum paints a brisk picture of the sector in its most recent market overview. Economists are now more optimistic on 2017 and expect only a mild slowdown in 2018/19, write Charlie Campbell and Thomas Buisson in the most recent sector review published in April this year. The rate of unemployment is now expected to rise to only 5.3% in 2018. We expect house price of inflation of +3% in 2017 and +1% in 2018, compared to -2.5% and +2.0% previously as the expected slowing of the economy bites, but not as hard as we originally expected. The macroeconomic environment remains uncertain. Affordability looks stretched to us, and more importantly, to the regulator. Help to Buy faces key tests in 2018, but will likely come through unscathed. Interest rate rises are more likely to impact sentiment than the housing market, they continue. Build cost inflation is likely to persist and the land market may become more competitive. 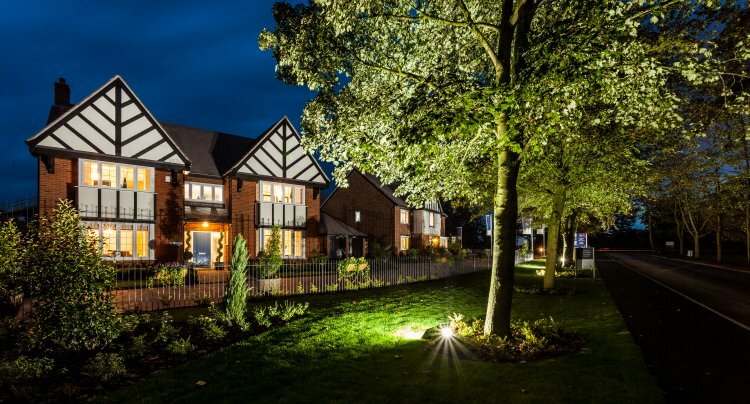 UK-listed housebuilders build homes speculatively for sale. They use mostly sub-contract labour on land they have bought and put through planning. Some also buy options over land. This allows them to pay a discount in return for work done in bringing the land through the system. Planning represents a significant barrier to entry. This ensures high returns across the sector. Barratt Homes reported record sales of £3.2bn in 2016 and total completions at their highest level since 2008. Earnings are much more sensitive to house prices than housing volumes. Patrick Allen became the face of Barratt's and housebuilding in the 1970s. He was the front man in a series of iconic ads swooping down on developments in a helicopter bearing the Barratt name and oak tree logo. He told of a breakthrough by Barratt's in the sector, represented by the sale of houses from £8,000 right up to £50,000. “You can choose a house for as little as £14 a week,” he shouted from inside the helicopter. “With a mortgage up to 95%. Allen also voiced the UK government's Protect and Survive series of instructional videos in the 1970s. Some of the lines from that project were sampled into the single Two Tribes by Frankie Goes to Hollywood. He was also the uncredited narrator in Carry On Up The Khyber. What affects the property market sector’s share prices? It's the economy. Interest rates: lower rates good, higher rates bad. Mortgage availability: without finance people can't buy a property. The supply and cost of labour and materials will both affect profits and therefore share prices. Supply and demand for property. When demand for housing chronically outstrips demand, the strain will show in one figure: the price of the housing in question. The appointment of credible senior staff is another issue. A slowing economy with supportive credit conditions, and a stable property supply could lead to growth in average UK house prices of 2-3% over the next 12 months, say UBS Wealth Management strategist Caroline Simmons and her colleague analyst Christof Koumoudos. In their 22 June market briefing, they say this compares with 4% growth over the past 12 months. They say the recent increase in political uncertainty may weigh slightly more on consumer confidence and act as a drag on transactions in the near term. But medium-term structural demand remains supportive. They expect new housing supply growth to remain in low-singledigits as demand slows in the near term. Overall, London prices have risen 2% in the past year, but prime central London prices have fallen 7%. More expensive boroughs have seen double-digit price declines. “The direction from here will be determined by the economic backdrop and international interest, particularly in light of Brexit and UK migration targets,” they add. In terms of business, defining characteristics like quality and reliability. The David Wilson and Charles Church brands are widely respected for their commitment to quality. In terms of share price, suggestions of an acquisition can boost the target price. The buyer's share price, though, will often fall on the same news. What can make a company's share price fall? External bad news. Internal bad news. Interest rate increases. Bad customer service. 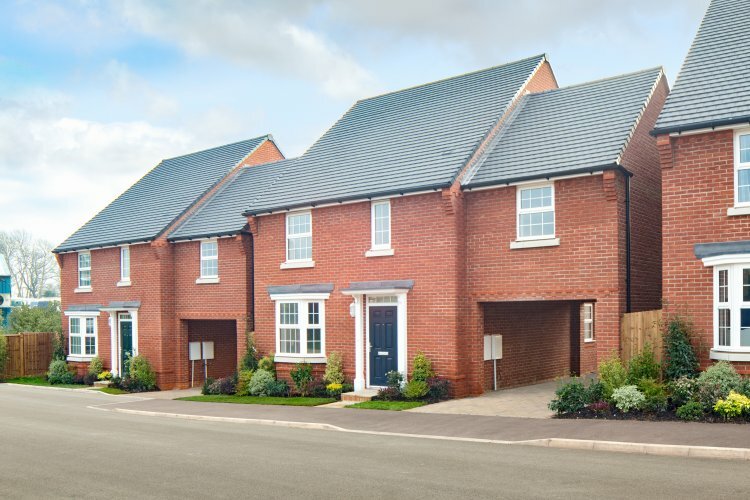 Bovis Homes, for example, suffered when it became clear that the company was installing customers in unfinished houses in order to boost completions and sales volumes. The Bovis share price also fell by a third on the Brexit vote in June 2016. Having clawed back around half of that fall, it slipped again on news that despite the unfinished homes scenario some completions had been pushed into 2017 meaning that 2016 profits would be flat. The Bovis share price rose marginally on 24 April when it became public that new chief executive officer Greg Fitzgerald had bought shares in the company worth £1.24m and his wife £145,590. It is still the poorest performer of the 13 UK housebuilders in Liberum's recent report. Previously at Galliford Try, Fitzgerald replaced David Ritchie in the wake of the completions debacle. A feeling that the company is not playing fair with its customers can hurt. Offering, say, houses with integrated kitchens that do not include white goods can deter buyers. Cost-cutting practices introduced in response to the financial crisis stubbornly persist. Bad practice. Timber frame house construction in the UK collapsed almost overnight in the 1970s. The news that the timber frames were sitting in rain for weeks on site raised concerns about water damage. There was nothing wrong with the building method, just bad storage. Prices. How fast are they rising? Leverage. How heavily is a company borrowing? 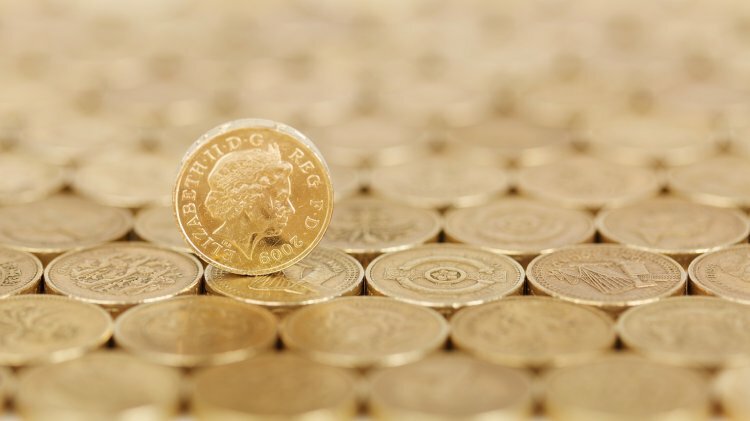 The industry in the UK is not currently heavily indebted, according to Liberum figures. Land bank. How much land is guaranteed available for development? Cash. Working capital. The rate of stock turnover. That is, the volume of houses a company is selling in a given period. As with any sector, trends are key to an understanding of a company. Investors need to look at three years' accounts at least see underlying trends. Remember, though, that accounts are a snapshot of a moment in time. Window dressing to improve a company's appearance at the end of its fiscal year has long been a standard corporate practice. Cash is the figure to focus on. Cash is almost always an indicator of strength (unless the company is pursuing a deliberate policy of milking the business for cash and starving it of future investment). Lack of cash is always an indicator of weakness. Cash is king. Customer service and high quality homes. Internal and external specifications are significantly higher in the UK than 20 years. It is difficult to gauge, however, how much this owes to a drive for quality, market forces or regulations. Build efficiency can be a hidden source of cost or profit. Anecdotal evidence from within the industry, gleaned from talking to site foremen, is that around 10% of a new-build home's final price is sheer waste. Company culture and general attention to detail. People talk and if the talk is positive it can boost a company's reputation and sales and share price. If negative, it can achieve the polar opposite. If possible, visit a company site. The quality of staff on duty in show homes is key in this respect. A representative who has an engaging manner and knowledgeable about the product can literally sell the company to potential buyers. One who struggles to answer basic questions on availability of plots and internal specifications will not inspire confidence. Answers that turn out to be wrong will destory confidence. Warmth and humanity are welcome extras. Watch the builders at their work. Talk to the builders. What do they think of their employer? Do they enjoy their job and take pride in their work? Or is it just a job in which they do the absolute minimum required? Watch how the different trades on site engage with one another. A happy site, a productive work force and enthusiastic sales staff are relatively easy to identify. The combination will feed through to sales, profits and share prices.